At Rumsey Hall we take pride in our faculty for fostering students' curiosities in all areas of campus life—as enthusiastic learners in the classroom, spirited athletes on our sports teams, explorers in the art room, courageous performers on the stage and compassionate and connected citizens living together in a close-knit community. All of our students receive the necessary support and daily structure to find academic success from programs designed to encourage intellectual and personal growth while developing curiosity from within. We are delighted to know you are interested in Rumsey Hall and eager to learn more about your child's achievements, interests and future goals. Our Admission team welcomes your visit to campus to experience for yourself the student and faculty camaraderie and the boundless energy we call Blue Dog Spirit. A student-led tour will be the first step to introducing you to all Rumsey has to offer. Explore our facilities from the Sanford House Study Hall, where our daily routine begins to our new Campus Center and Dining Hall where we enjoy meals together as a family. Meet our dynamic teachers and staff and see first-hand the natural beauty of our Bantam River Valley campus. Searching for a new school is an exciting time of discovery. We thank you for considering Rumsey Hall in your journey to finding your future school home. 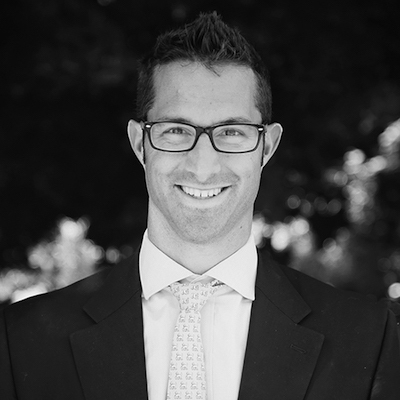 Ben joined the Rumsey community in 2005 as an English teacher and was appointed Associate Director of Admission in 2009 and Director of Admission in 2016. He teaches Upper School English and coaches soccer. Ben graduated from Colby College, ME with a Bachelor of Arts in Anthropology. He has gained an appreciation for the New England outdoors ‑ quite a drastic change from his Atlanta, GA upbringing. Ben lives on campus with wife, Language Skills Teacher Gretchen, son Wyatt ’22 and daughter Maisie '24. Ben is an avid skier, fly fisherman and trains competitively for triathlons. After spending eight years teaching IIIrd Form in Rumsey’s Lower School, Jennifer joined the Admissions Team in 2016. She also teaches English in the Upper School, coaches and is Director of rumseysummer! Recreational Program. Jennifer holds a BS in Elementary Education from Keene State College, NH and an MS in Special Education from Central Connecticut State University. Jennifer resides on campus with her husband, English Department Chair Douglas Kolpak, and their three children Jack '13, Eleni '15 and Hunter '17. Cynthia joined the Admission Office in 2003 as Administrative Assistant after working for a travel company for over twenty years. She holds an Associate Degree in Merchandising & Event Management from Berkeley School of Business, NY. As the eldest sibling of five and mother of two, Cynthia shares her wealth of knowledge working with children with prospective families and provides caring and professional guidance through the admission process. Cynthia and her husband Dan live in New Milford, CT with their Alaskan Malamute.